My Fresh Wild Blackberry Mead Soap is full of wholesome ingredients. 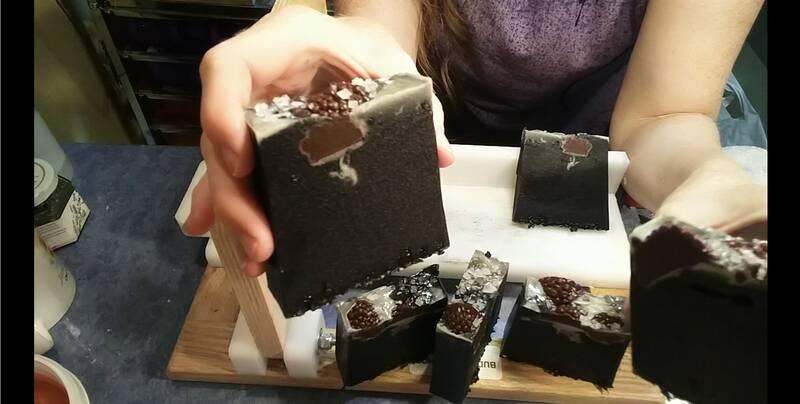 I started with a custom honey soap base and added lovely things like Aloe Vera, Infused Bay Oil, Shea Butter, Homemade Mead, Activated Charcoal, Vanilla Olioresin, and of course Fresh Blackberries! Why add all these nutrients to a soap you'll just wash off? The skin is our biggest organ and all those lovely things are meant to cleanse and pamper the skin. This soap is also very nice as a facial soap. The seeds of the blackberry are a nice scrubby for the body and the other nourishing ingredients are like food for the skin. We don't want to dry out just because we're getting clean and the oils help to moisturize the clean skin left behind as you rinse off this soap. This is a botanically fragranced soap that smells a bit like Blackberry Brandy. The lemon, mead and the ultra expensive vanilla oleoresin combine with the natural fragrance of the berries to create a lovely natural fruity aroma. This deep black soap is swirled on top with a dollop of 'cream' goat milk soap. Handmade blackberry embeds float on top of the bar and it is given some sparkle with handmade sea salt from the Salish Sea. This is part of the rare soap line which contains ingredients of a luxurious nature. I hope you enjoy using this lovely natural soap as much as I do. It is only available while wild black berries are in season which ends soon. 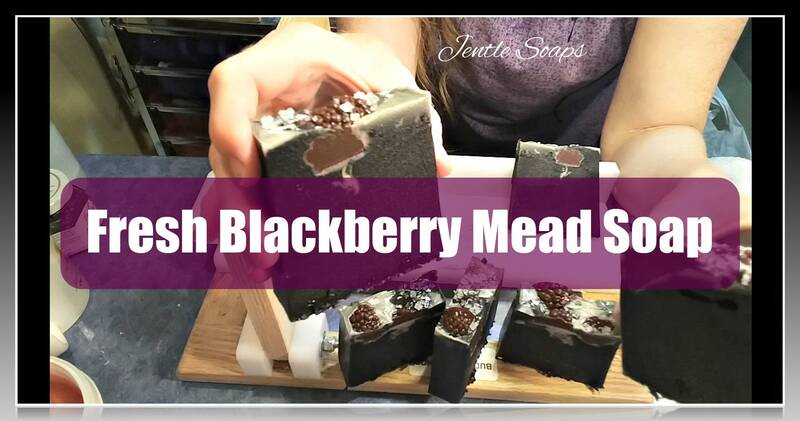 Custom orders are available for this soap only when fresh berries are in season.